Burn ing Man, Wanderlust and Coachella, if names like these make your heart smile and generate a powerful image of memories that will stay with you forever, then chances are you’re just one of the millions of festival lovers who look forward every year to the happy vibes. The incredible music, trend setting fashions and jaw dropping inspirational performances will dominate some of the most popular and well known outdoor events in the world. Far from the days when festivals were small scale relatively unknown gatherings for dedicated music lovers, these epic shows are nowadays the one place everyone want to be seen at. With so much interest dedicated to the freedom and creativity that festival life brings, it comes as no surprise that in the run up to these popular summer diary dates, I’m often fully booked with clients who want to look their best and ensure that their skin retains its radiant and naturally ‘glowing’ complexion, in advance of the obligatory group selfies. So in order to help you prepare for your next festival, here are my 5 top pro tips that will help you survive festival madness, while looking gorgeous and glam all weekend long. 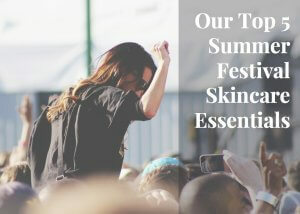 With the majority of time being spent outdoors at festivals and our skin therefore being subjected to the sun’s strong UV rays, it’s important to make sure that before you embark on your festival adventures your skin is not going to be super sensitive and prone to sunburn and dehydration. 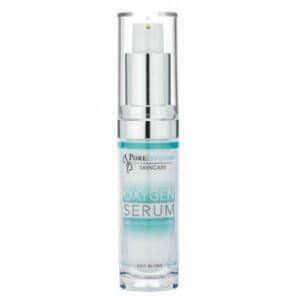 It will help not only give your skin brightness and clarity, but will also help supply your skin with extra oxygen in order to keep the acne causing bacteria in bay deep down in your pores. 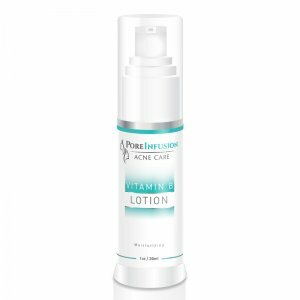 Another great addition to your festival skin care kit would be the introduction of a Vitamin B lotion which is perfect to use daily as a moisturizer for acne prone skin, as it contains ingredients which help to reduce inflammation, prevent moisture loss, firm the skin and address hyperpigmentation. I would also recommend that you thoroughly exfoliate your body 72 hours before you leave and apply suitable amounts of UV protection couple of hours before the trip. This will help you to avoid forgetting to do so when you arrive on site. Aside of the basics such as wearing a wide brimmed hat, protective UV filter sunglasses and keeping regularly hydrated to avoid sunstroke, protecting your skin from harmful UVA and UVB rays on a continual basis throughout the weekend will be crucial. Your sunscreen should be your new BFF and be your constant companion. 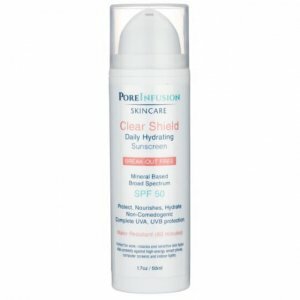 We’d recommend PoreInfusion Clear Shield Waterproof Sunscreen, which contains zinc oxide and hyaluronic acid and provides broad spectrum SPF50 for up to 80 minutes at a time. With the benefit of being sweat proof and water resistant it won’t leave an unsightly white residue on your face and body. If you want to look picture perfect and effortlessly glam despite the heat, dust and sweaty conditions inside some of the tented areas, then leave your liquid foundations at home and opt instead for a mineral based alternative such as Priia essential cover foundation and ‘Behave Finishing Powder’, which will help your makeup stay in place and allow your skin to breathe throughout the day and well into the evening. To control any unwanted shine try the HydraPime Control Powder with acne safe lip treatment balm. My favourite acne safe lip balm will keep your pout in prime condition by infusing your lips with a range of high performance antioxidants from green tea extract to totarol to control breakouts. Stay hydrated by increasing your water intake and whenever possible eat foods rich in antioxidants and essential fatty acids, such as fruits, avocados and lean proteins from some of the incredible food tents that will be showcasing some delicious delicacies. Keeping a small bag of nuts at hand to snack on will keep your blood sugars balanced between meals. Using a non comedogenic hydrating skin spritz made with a unique cocktail of botanicals will also help to soothe stressed, tired and dehydrated skin. Make sure that whenever possible you stay out of the sun and in the shade between the hours of 12:00-3:00pm when it’s at it’s strongest. Looking radiant the morning after a heavy night partying can be a challenge, even if the reason your eyes are puffy are only due to having far too much fun dancing the night away and not getting enough beauty sleep. While you can’t take your entire makeup kit with you or apply a trusty eye mask to bring back your sparkle, it’s possible to get your glow back and rescue your skin by spending just ten minutes indulging in an Oxygen Mask which will target areas of redness while refilling your skin with fresh oxygen. This is a gel based mask and looks completely clear on the skin so you don’t have to worry about your friends making fun of you while wearing it. If you don’t have access to running water or bathroom facilities cleansing wipes are a great way to remove any unwanted make up and the face mask after use. I love the brand called Water Wipes, because it only contains water and essential oils to prevent any clogged pores. 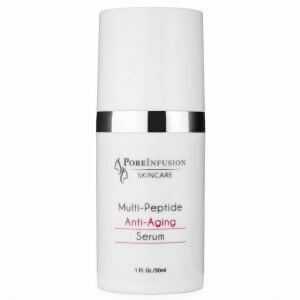 We’d also advise that you apply generous amounts of hydrating toner and a rich serum such as PoreInfusion Multi Peptide Anti-Aging Serum, which combines 5 growth factors, neuropeptides and oligo elements that work together to transform the skin back to its youthful and radiant self. Don’t forget that it will be important to replenish your water intake and keep your mineral and vitamins levels high before you’re ready to face the day. With the help of high performance supplements such as Vitamin D, Omega 3 Fish Oil and Zinc, you will feel energized and ready for the day. While having a healthy glow always looks great in photos, remember that the memories you create with your friends and fun you have, will be what really truly counts. 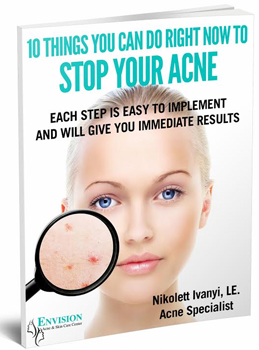 Do you need expert skin care advice from a licensed aesthetician and acne specialist? Schedule your appointment for a consultation today to get personalized advice on products and treatments that are right for you.